The latest trend in cool pens are ones with a European style. 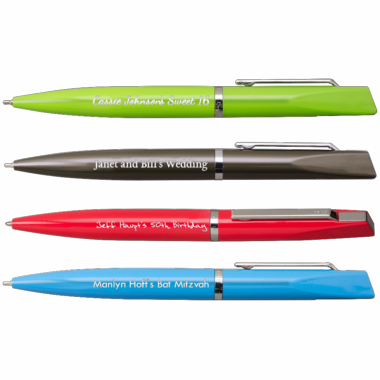 These youthful brightly colored metal ballpoint pens are laser engraved with a silvery white color. They also have twist action, ultra smooth writing, and have a black Hybrid ballpoint/gel ink. 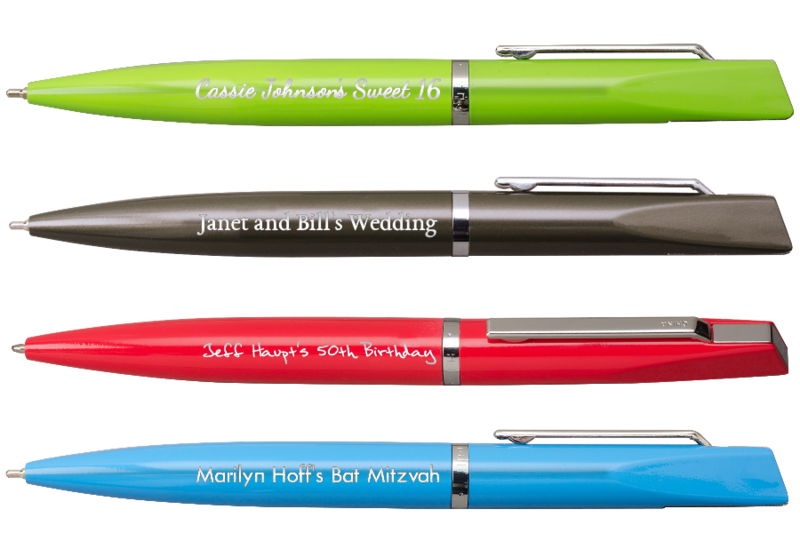 Check them out for yourself with by asking for a pen to be sent to you on us. Just indicate the item number, color, and your shipping address in an email sent to: info@cool-party-favors.com. It can take 1-2 weeks, as the pens are sent via US Mail. Engraving Area: 1-1/2" x 1/4"